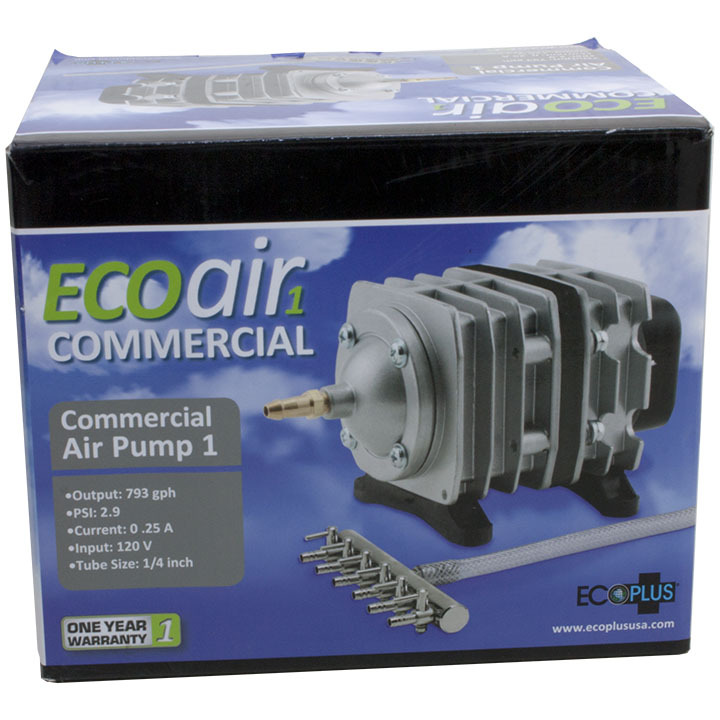 Eco Air pumps are very quiet, yet extremely powerful. 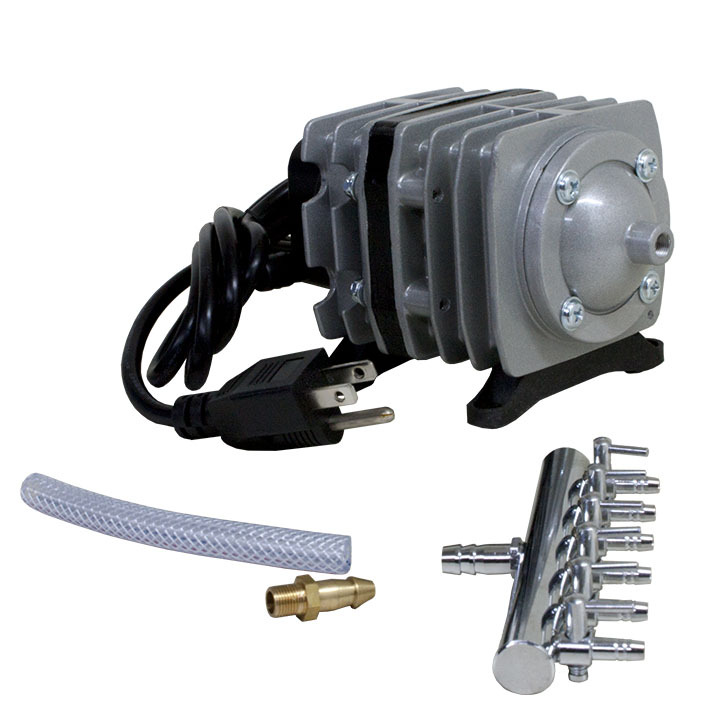 They are long lasting and offer a one year warranty. Controllable variable output on some models.